Lady Hammer Casino is inspired and endorsed by World Boxing Champion Christina Hammer and has elements of the boxing world throughout. Players can enjoy a large collection of games including pokies, table games, and specialty games and there are many payment methods on offer, including Bitcoin. Transparent terms and conditions, an easy-to-navigate platform, a license from Curacao, exclusive loyalty program, a comprehensive range of casino games, remarkable welcome bonuses and weekly perks, cryptocurrencies-friendly, sound customer care, and secure ambience, makes Lady Hammer Casino a well-known name among casino buffs all around the world. Established in 2017, Lady Hammer Casino is owned and operated by Direx N.V., and is licensed under the jurisdiction of Curacao. It offers an easy-to-use platform and a reliable gaming ambience. The theme of the casino is boxing, with the casino name coined after World Boxing Champion Christina "Lady" Hammer. Lady Hammer is the 5 times boxing champion and this casino is all about making you a champion as well. They claim to donate 5% of the casino's earnings to the World Boxing Council (WBC) to support charity programmes. 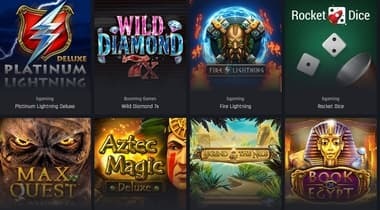 At Lady Hammer Casino, gamblers can play casino games that are provided by reputed software developer companies such as Next Gen Gaming, NetEnt, and SoftSwiss. The casino includes a large selection of games and players can find their favourite games by using the search engine. Some popular casino pokies included in this casino are 300 Shields Slot, Starburst Slot, Immortal Romance Slot, Cluster Pays Slot, and Aloha. You can play pokies for real money and earn huge amounts quickly. Table games include Blackjack, Roulette, and Baccarat version and you can also play Aces and Eights, Deuces Wild, and All American. If you want to enjoy live gaming, you can play their live table games and interact with a live dealer. In order to indulge in the listed casino games, players should have the most recent version of Java and Flash installed on their gadgets. It is good to note that you can play for fun before playing for real money. You just need to click the ‘Play for Fun’ option and load the game in demo play mode. 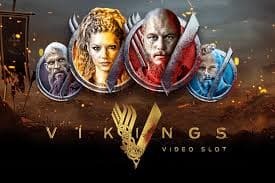 Lady Hammer Casino knows how to reward their loyal players, and therefore, they have an exclusive VIP program for eminent gamers. You can claim your VIP status by playing more and earning punch points. You start from round one and can get promoted to being the Champion. The loyalty program of comes with beneficial rewards such as cash prizes, higher deposit bonuses, free spins free spins on level-up, access to exclusive tournaments, personal VIP manager, transfers of punch points into cash and rewards autographed by Christina Lady Hammer herself! You can earn one punch point by placing bets of AU$ 20 while playing pokies. 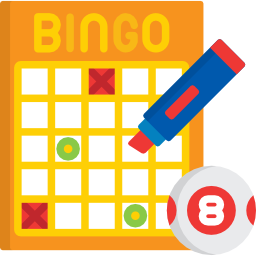 After you have reached rounds eight or nine, you stand a possibility of collecting points at a much quicker and easier rate. When you place a bet of AU$30 during the Knock Out Booster Campaign, you get two status points and two punch points, which in turn, drastically increases your possibility of becoming the champion. So, get ready and take advantage of the amazing loyalty program of Lady Hammer Casino. You will find several payment options at Lady Hammer Casino. You can make deposits using credit and debit cards such as Visa, Maestro, and MasterCard. There is also an option to make a deposit through e-wallets such as Skrill, Neteller, ecoPayz, and Neosurf. 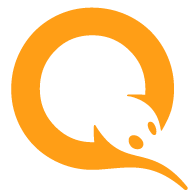 Other methods include Qiwi, giropay, Paysafecard, Zimpler and SOFORT. You can contact customer care staff if you would like to inquire about the best payment methods for your country of residence. Deposits are instantly processed at Lady Hammer Casino and you can see your funds in your account in no time. You can start placing bets on your favourite games immediately after your deposit is confirmed. You are allowed to make a minimum deposit of AU$20 or 0.001 BTC. The options for withdrawing your funds include Visa, Master Card, Neteller, Skrill, Bank Transfer, ecoPayz, Qiwi and so on. You can request your earnings withdrawals of at least AU$20.The maximum cash for withdrawal is dependent on your decided payment method. It takes at least a day for your winnings to be withdrawn into your desired account. All bank transfer payouts are processed within three working banking days. The authorities at Lady Hammer Casino understand the need for fair gaming and therefore, they make sure to offer the highest standards and the best fair gaming to their players. Almost all the casino games at the Lady Hammer Casino hold the ‘Provably Fair’ tag that assures that you experience fair gaming. In addition, all casino games carry compulsory RNG certificates. Lady Hammer Casino is licensed in Curacao, which is more than enough to ensure that it is a safe platform on which to make a deposit and play casino games. They use the premium and the most advanced innovative technologies such as PGP protocol 128-bit Secure Socket Layer encryption to safeguard personal and financial details of players and to offer security while cash transfer. Take You Gaming Experience to the Next Level! Lady Hammer Casino offers many advantages to their new and existing players. Even though it is a fairly new entry into the casino world, it has already made its mark among many casino enthusiasts. If you want to play on a user-friendly and safe platform and choose from a large selection of games, sign up at Lady Hammer Casino now! We are sure you will love the experience. When you sign up to Lady Hammer Casino via Australia Casino, you will be privy to an exclusive AU$2,000 welcome bonus and 140 free spins. When you register, you will receive a no deposit bonus of 10 free spins. Then, on making your first deposit, you get 100% up to AU$500, along with 50 free spins. When you make a second deposit, you receive 50% up to AU$1,000 along with 50 free spins. In addition, on depositing your third amount, you get 75% up to AU$500 and 30 free spins. 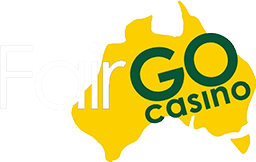 The minimum deposit amount, for each deposit, is AU$30 and there are X50 wagering requirements that need to be fulfilled. After you have successfully claimed your welcome bonus, you can enjoy weekly promotions. The casino makes sure that players enjoy their stay at their website while playing their favourite pokies and other popular games. Every Wednesday, you can claim 25% up to AU$100. When you are relaxing on Sundays and playing slots, you can enjoy up to 100 free spins and make your playing experience more thrilling and exciting. You must deposit at least AU$30 to be eligible for this bonus.